Six stillborn babies were buried July 26 at Resurrection Cemetery on Staten Island. Burial costs were covered as part of the Guardian Angel initiative announced by Cardinal Dolan in March. The 10 women to the left represented the World of Women, an advocacy group for women and children. On their right are Nanci Valente, manager of cemetery services and administration at Resurrection; Father Rhey Garcia, parochial vicar of St. Joseph-St. Thomas-St. John Neumann, Staten Island, who is leading prayers; John Scalia, funeral director for John V. Scalia Home for Funerals, Staten Island; Anthony Catalano, public administrator for Richmond County; and Paul Bogdanov, assistant to the public administrator. The Guardian Angel section at Gate of Heaven Cemetery in Hawthorne includes communal markers to the left and right with the names of the babies buried there. Nanci Valente returned from time off to celebrate the birth of her third granddaughter to prepare for the burial of six stillborn babies at Resurrection Cemetery on Staten Island. “I came back to this sad story of six baby burials,” Ms. Valente, the manager of cemetery services and administration at Resurrection, told CNY of a burial that took place in the Guardian Angel section of the cemetery July 26. The burial space, opening and closing of the space for burial and the engraving of the stillborn baby’s name on a communal marker came at no cost to the families. Cardinal Dolan announced the initiative, and several others, in his Catholic New York column earlier this year. Each of the four archdiocesan cemeteries operated by the Trustees of St. Patrick’s Cathedral—Calvary in Queens, Ascension in Airmont, Gate of Heaven in Hawthorne and Resurrection—is participating in the plan. There is free burial of a deceased person declared indigent by local civil authorities at the St. Francis of Assisi section, as well as burial at a minimal cost of cremated remains in the St. Joseph of Arimathea section, at each of the four cemeteries. Ascension Cemetery’s Sacred Hearts of Jesus and Mary section will be for burials at a reduced cost for families with a letter from the deceased’s pastor stating a Catholic Funeral Mass is scheduled and certifying the family’s limited means. 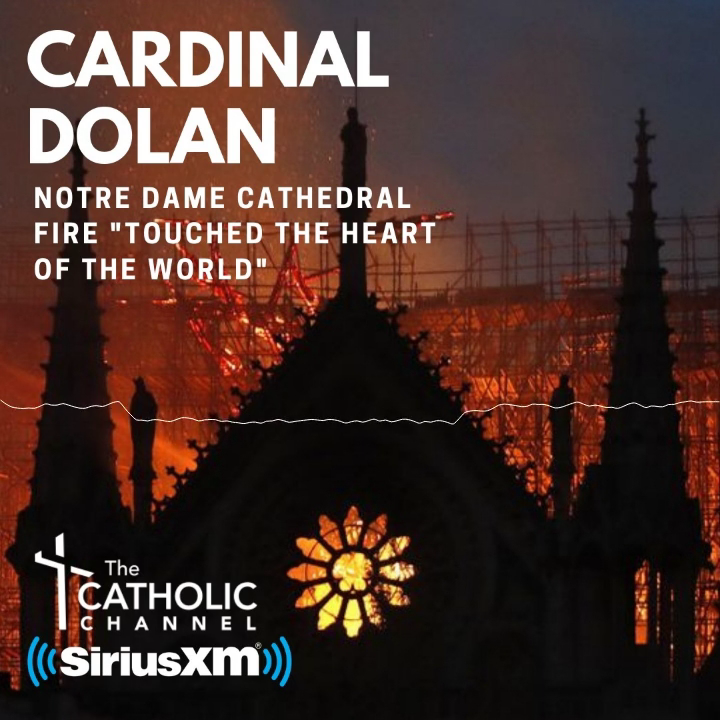 Cardinal Dolan was responding to concerns expressed by priests, primarily from Hispanic parishes, about the decreasing number of families following Catholic traditions of bereavement and burial because of the costs. “As your archbishop, I am committed to do all that I can to see that our deceased Catholics receive a Funeral Mass and are buried in a Catholic cemetery. Please keep these various options in mind, which now make Catholic burials in our archdiocesan cemeteries available and affordable to just about everyone,” Cardinal Dolan wrote in his March 2 CNY column. As of Aug. 10, 38 Guardian Angel burials have occurred in the cemeteries since Cardinal Dolan announced the initiative. On Staten Island, the wider community has provided support. Public Administrator Anthony Catalano has played a leading role in helping the babies receive a dignified funeral. John V. Scalia Home for Funerals provided baby caskets, nameplates and flowers. The World of Women, an advocacy group for women and children, has fashioned donated christening gowns and wedding dresses into burial garments for the stillborn babies. “It’s very positive and very strengthening for people in the community to know the Church and the community cares. It gives the community strength and hope,” said Ms. Valente, who with her staff buried 15 stillborn babies in one burial Jan. 5. Scott Hanley, managing director for the Trustees of St. Patrick’s Cathedral, said he and his staff will continue getting the word out in the coming weeks about Cardinal Dolan’s initiative.